Residential energy storage leader sonnen is taking another step forward with its sonnenCommunity solution with the announcement of the Hunters Point – Pearl Homes Community and Marina in the small fishing village of Cortez, Florida. The community is the second sonnenCommunity in the United States, following its 2,900 home installation in Arizona. 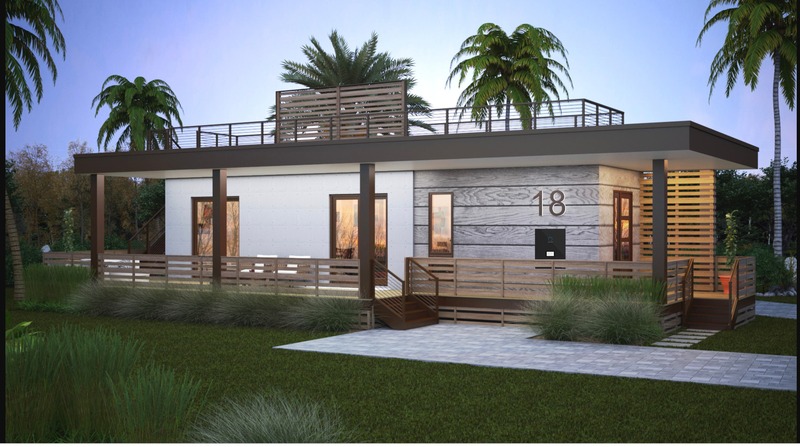 The new installation in Manatee County, Florida takes the solution several steps forward in meaningful ways by partnering with the homebuilder from the outset to develop some of the most sustainable and energy efficient homes in the world. The ‘Net-Zero-Plus and Climate-Positive’ community integrates sonnen’s energy storage products into 148 single family homes and 720 apartments for a combined solution that disrupts the way we have thought about in-home energy management by aggregating them into a unified community energy consumption, storage, and production unit. Combined, the units will have a storage capacity of 9 MWh and power of 7.2 MW. This combined capacity is first utilized within the community as well as to the local utility. Discussions are underway to define the terms of the interconnect agreement and to define how the developer and utility will interact to maximize the benefits of the system to the environment, to those living in the community and to the utility. We spoke with sonnen SVP and head of sonnen’s US operations Blake Richetta and President of Sarasota, Florida-based Pearl Homes Marshall Gobuty about the unique development and how they have partnered to break down barriers to design and build one of the most sustainable communities ever. “Together with our partners at Pearl Homes and Google Home, we are effectively demonstrating the intersection between renewable energy, home automation and homebuilding, establishing a blueprint for the affordable clean energy home of the future,” Blake said in a statement about the community. On the sonnen side of the equation, Blake said that sonnen’s team built a completely new offering that connects its sonnen eco energy storage unit with Google Home to offer up more home automation than a traditional energy storage solution does, but at a lower cost than its top of the line sonnen ecoLinx offering. “It’s the baby brother to ecoLinx. A broader marketplace will be served by this product,” Blake said. The sonnenCommunity not only adds storage to each home in the development, it takes it a step further by letting them talk to each other, sharing power among themselves at rates that are lower than those at the local utility. 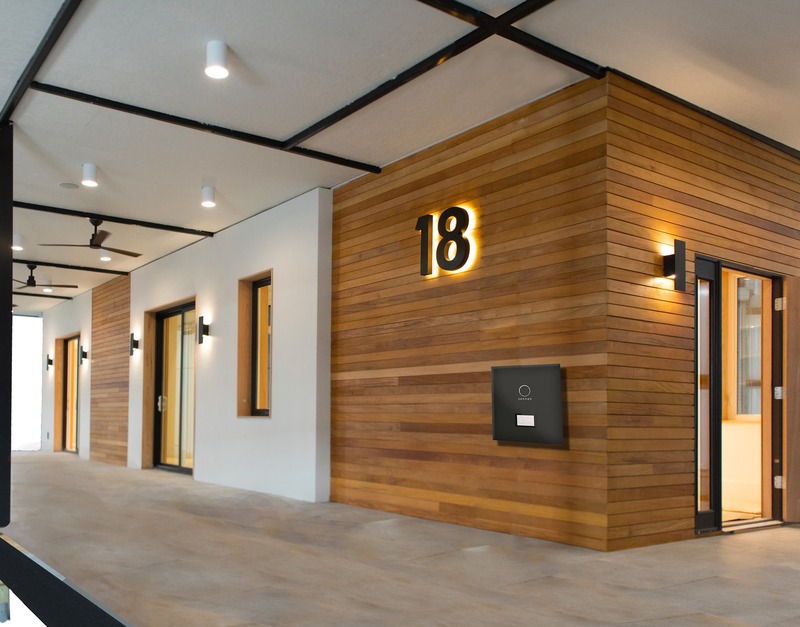 Adding connected intelligent storage isn’t all that this community has going for it but rather, it was a natural extension of the core ethos at Pearl Homes, which is pushing the envelope on building design to build the most sustainable homes ever. Marshall Gobuty shared with us that, “the world doesn’t need another block home builder,” and that he felt like the technologies available and the imperative to live more sustainably effectively mandated that he design better homes. It took them four iterations of designing, testing and redesigning over the course of a few years to come up with the right design for Hunters Point, but they did it. The result is a development that goes “well beyond LEED platinum,” according to Marshall. To quantify it, the Green Building Council put in into, “a new level that they’re calling LEED platinum plus. It’s a new level where you’re trying to be net carbon neutral,” which is the objective for him at Hunters Point. “The model really showcases a lot of the unique designs that no other homeowner has implemented,” starting with a smaller 750 square foot floor plan for some of the units. Marshall believes these will be attractive to retirees as well as Millennials looking to live an environmentally friendly, sustainable lifestyle. Going through multiple design iterations maximized the square footage for efficiency and functionality. “In that 750 sq ft, it’s remarkable what you’re getting,” Marshall said. “The trade off is that you don’t mind that you’re getting a smaller footprint and the home builder can invest in other things.” Backup power, carbon neutral living, monthly savings on the energy bill from the solar plus storage solution, and more come to mind and resonate with their target customers. These homes are a different breed than anything else on the market. They represent a sustainable step-change into the future. The efficient, solar powered, self-sufficient home and neighborhoods of the future. They are much like the Tesla Model 3 that’s leading the electric transportation revolution compared to the BMW M3 that our parents enjoyed. Not only are they packed with more tech, and are more intuitive, more comfortable, and more fun, they’re also better for the planet. Marshall is a dreamer, but one firmly grounded in the realities of business and technology. That combination led him to the realization that, “as humans, we’ve taken hundreds of years to damage the earth.” Unsatisfied with the inevitability of climate change unaddressed, he decided to take action. That action led him down the windy path of sustainable home building paired with clean tech solutions, much like the pairing of a fine wine and the right cheese or the recent fad of pairing beer with donuts. He concluded that, “over the next 100 years, we can correct all the damage we’ve done,” and set out with a fierce determination to do his part, to do his best, to bring that dream into reality. “97% of the power you generate is yours. That’s an ownership question. That’s a pride question.” The inspirational words pour out of him as it overflowing from a never ending spring of positivity. Experts agree that the future grid will be distributed, will be increasingly comprised of distributed renewable generation and supported by copious amounts of energy storage. Marshall showed off some of the early builds from the development to a large hotel builder and they were awestruck. “They stand there looking at the sonnen battery in amazement like a little pug dog looks at you with the twisted head,” Marshall said. “They’re like ‘this is amazing! '” I equate that to the EV smile. It’s the time when people experience the convergence of so many of the technologies they hear about all working together at the same time. People are so used to being underwhelmed by products that are so overhyped by marketing and sales teams that when a product actually delivers – or exceeds – the claims, people are floored. That’s how I felt when I first saw the sonnen ecoLinx at the Solar Power International show earlier this year. It is a product that stands by itself. Nothing else on the market comes close to matching the functionality it brings to the market in the home energy management space. As you might expect, Marshall is not content to have just built a single world-changing home development. “We have aggressive plans over the next 6 years to make a material change in home building,” he said. The success of the Hunters Point development has stoked the flames of sustainable development in Marshall.